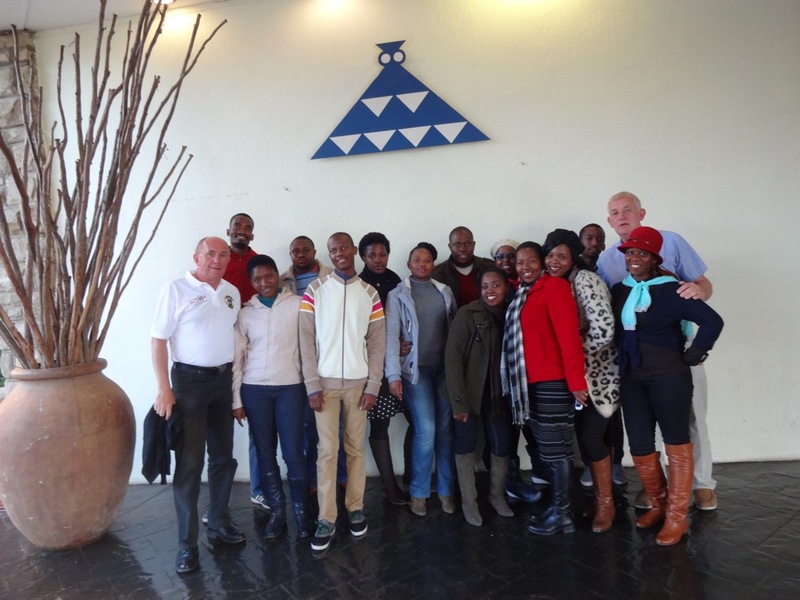 By prior arrangement between the Basotho Planners and Action Ireland Trust a meet-up in the Maseru Sun took place on the 19th of June to further #MapLesotho and concentrate on the rural task. Everyone was happy with the opportunity to get down to some serious mapping. Because of the limitations on space the numbers were limited to 15, and the offer of the training was snapped up within a couple of hours of being advertised on the openstreetmap Lesotho facebook page. Mapping got going with a few hiccups for the Ushaidi BRCK as the 3G Lesotho network in use seemed to flag and falter. 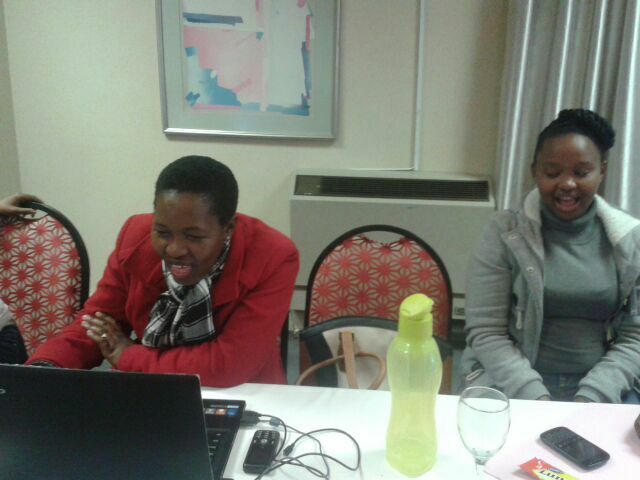 A wise decision was made by Miss Lebohang to revert to plan B, and use a number of smartphones and tether to them from the available laptops. 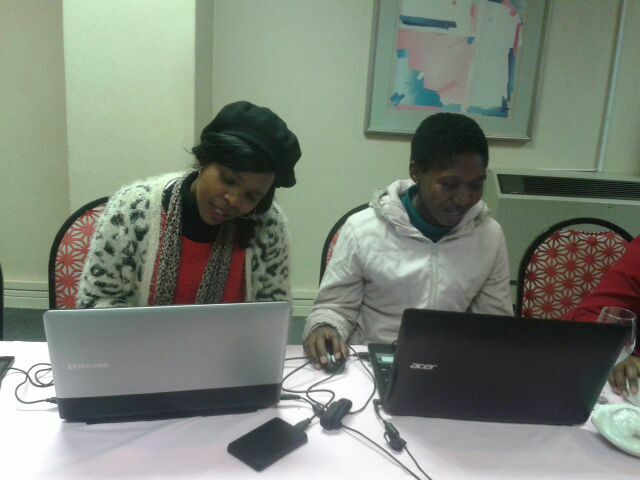 Some experienced mappers were joined by Khahliso Mapeshoane and Nkareng Mothibe who were mapping for the first time and definitely enjoyed the experience of mastering the ID editor. Both produced a satisfactory number of edits and nodes for first time mappers, and got a sense of the task and how it has to be worked at gradually and diligently. Throughout the day there was good humour and wise cracks, some which can’t be repeated here. Leading the way there was Khothatso Thamae who mapped, and joked and mapped all day. Her humour certainly helped keep the smiles going…. 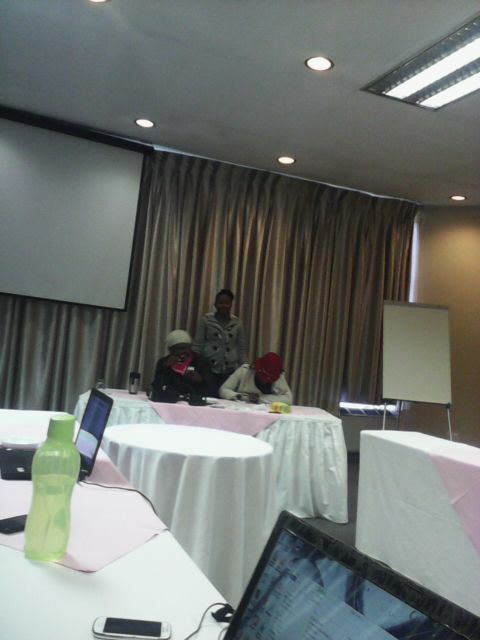 The bigger picture of the day for Lesotho was that over a week’s mapping got done in one day. Those who are relatively new to OSM got some more practise and two new mappers were able to join in. All in all a good day’s work for #MapLesotho, with the feeling emerging that more mapathons will happen around the districts.